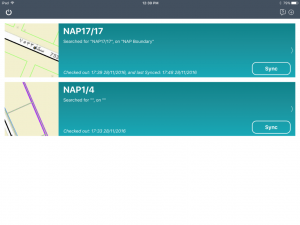 A fully integrated Ericsson Network Engineer mobile solution that allows Field surveyors (with the support for iOS and Android devices) to timely access the telecom network information and its assets while on the ground giving the ability to survey, collect and submit the data needed for the business. Office reviewers can view, verify and confirm the submitted surveys (collected data) from within Network Engineer and perform their daily tasks. 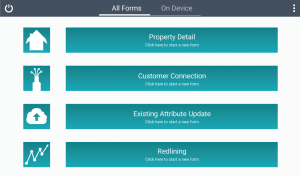 Property Details Form: This survey form allows field users to fill out specific details about properties within a plot. 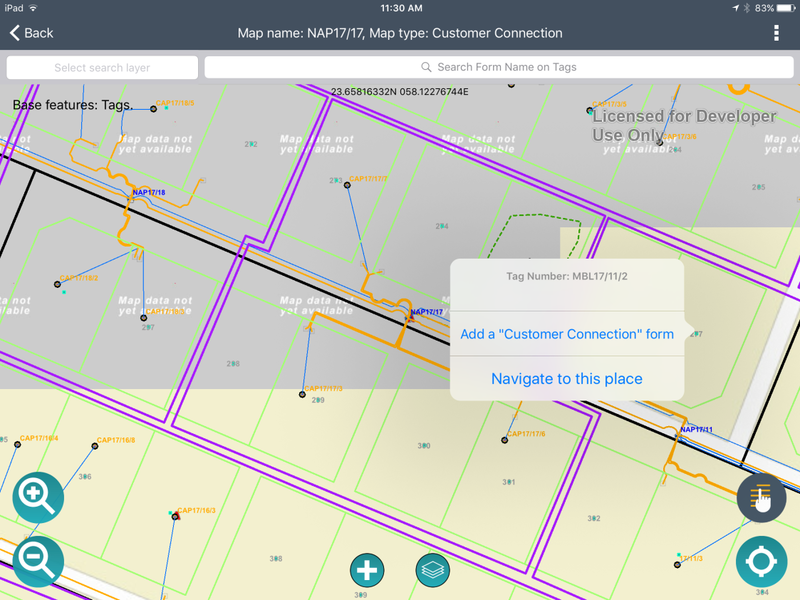 Customer Connections Form: This survey form allows field users to fill out details about the survey of a customer connection point based on the customer’s tag number. Redlining Forms: This survey form allows field users to provide redlining feedback about as-built data that is not yet updated (corrected) within the ENE database. Existing Data Update Forms: This survey form allows the field users to provide attribute updates related to specific inventory objects to be updated/corrected within the NE database. 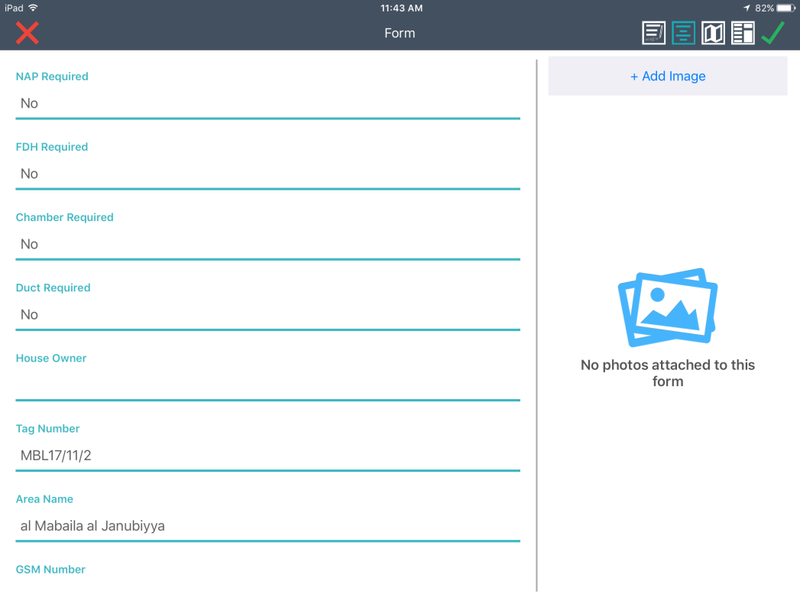 Allow users to take photos from within the solution or choose images from the mobile device’s gallery whenever attachments are needed. 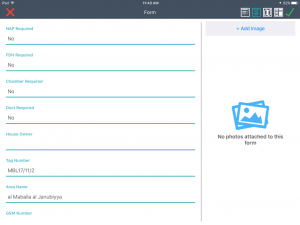 Allow users to sketch / draw on the images that are being attached to a survey form. Search for specific locations on the map based on existing feature attribute values. Get the customer’s signature by drawing the signature directly into the mobile device. Allow field users to save data locally on the device for offline use and provide the ability to synchronize this data back to the server when connectivity is available. System administrator; the ability to configure different privileges for different survey forms as well as different privileges for viewing map data to specific users / groups.